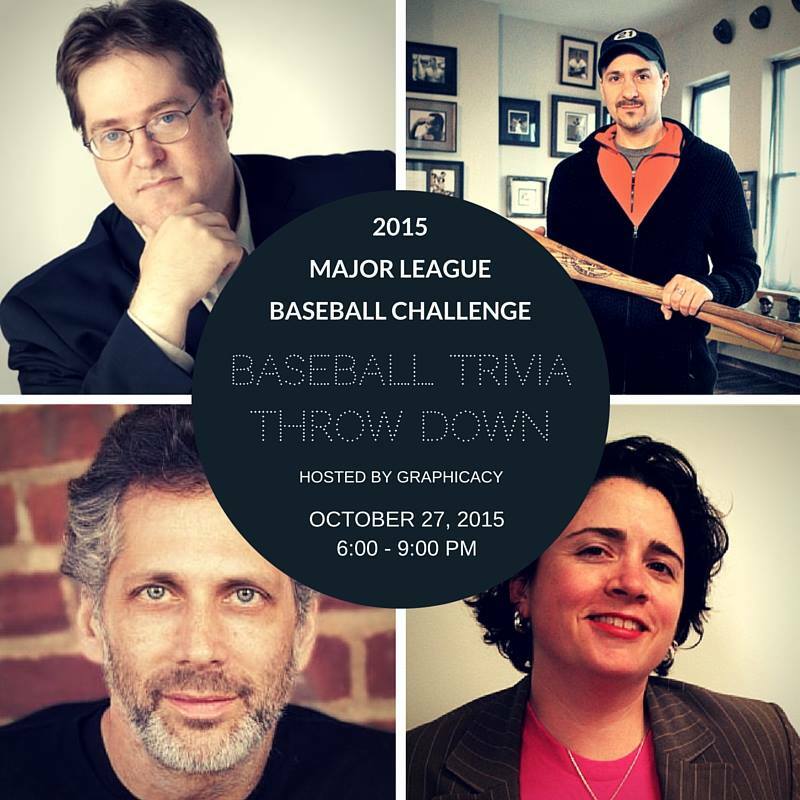 & BASEBALL TRIVIA THROW DOWN! & a complimentary TIMEPLOTS poster! Join Graphicacy as we celebrate the launch of our first information design competition. This year we're focusing on America's great pastime - baseball! And what better time to celebrate baseball than in October! Our contest opened on October 12th and we've had great success in getting the word out to worthy contestants. Now it's time to celebrate as we get ready for a round of submissions and awarding our first contest winner. So please join us as we celebrate with an open house party! We'll have beer & wine, soda, finger food ... and, of course, apple pie! The event will take place Tuesday, October 27 from 6:00 - 9:00 PM. We're located at the fantastic WeWork Building/Wonderbread Factory in Shaw.